This coffee will be fresh roasted for you. 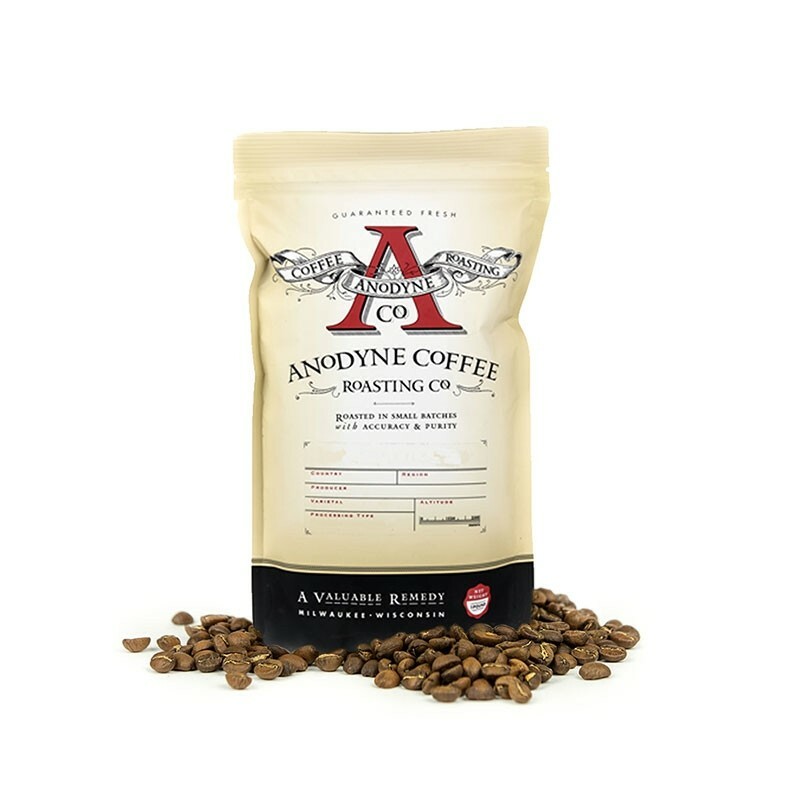 We expect Anodyne Coffee Roasters will roast and ship this coffee in 1-2 business days depending on their roasting schedule. This is the Dark Roast Sumatra Takengon Sara Ate Organic brought to you by Anodyne Coffee Roasting Co. This semi-washed Organic certified coffee was sourced from the growing region of Aceh in Sumatra and was produced by the Sara Ate Cooperative between 1,200 - 1,600 meters. The coffee is a medium-dark roast with big and bold notes of smoke, bakers chocolate and clove spice. Nice Roast, good body, slight chocolate flavors. Drinks best with pour-over/Chemex.